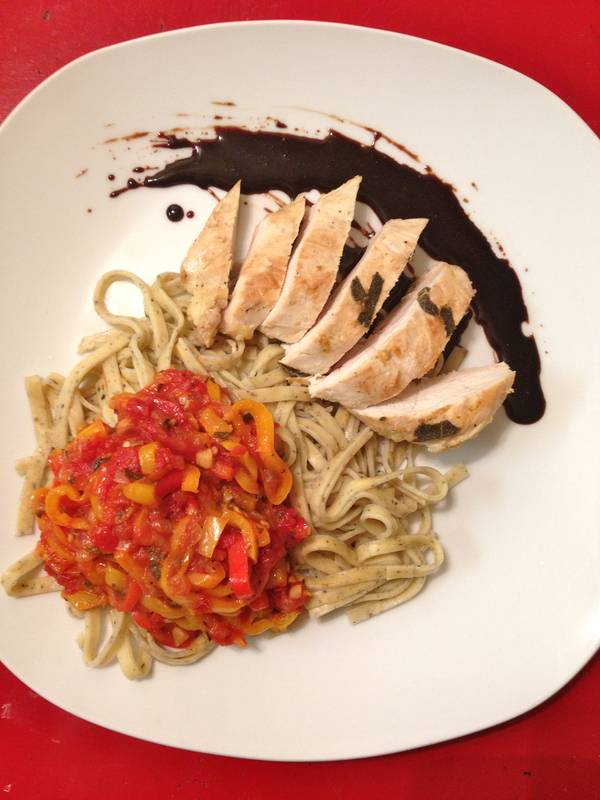 Not your average chicken and pasta dinner! 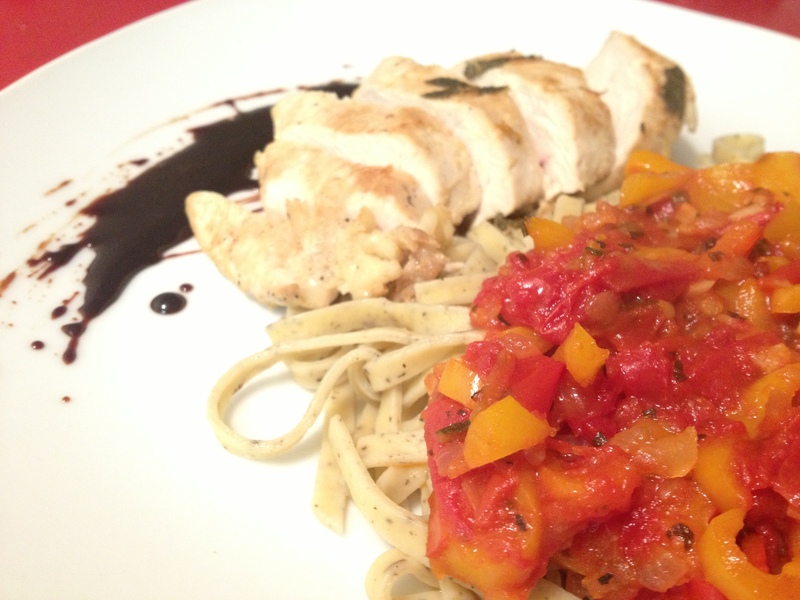 Making your own pasta sauce is an easy way to dress up any ol’ dinnertime standbye. The sweet vegetables provide an excellent contrast to the lightly lemony chicken and are also a great way to celebrate the last of summer’s delicious produce. Eat up! Roughly chop the sage leaves, combine with the rest of the marinade ingredients in a gallon plastic bag. Allow the mixture to marinate (preferably overnight but at least 4 hours). Splash some olive oil into a small sautee pan. 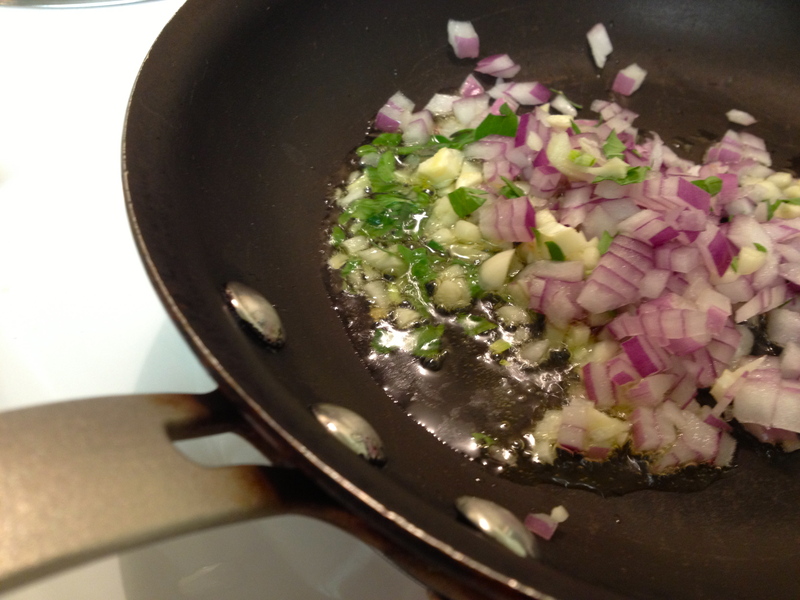 Add the garlic, onion, and thyme, stir briefly then allow the mixture to sit for about 25 minutes. 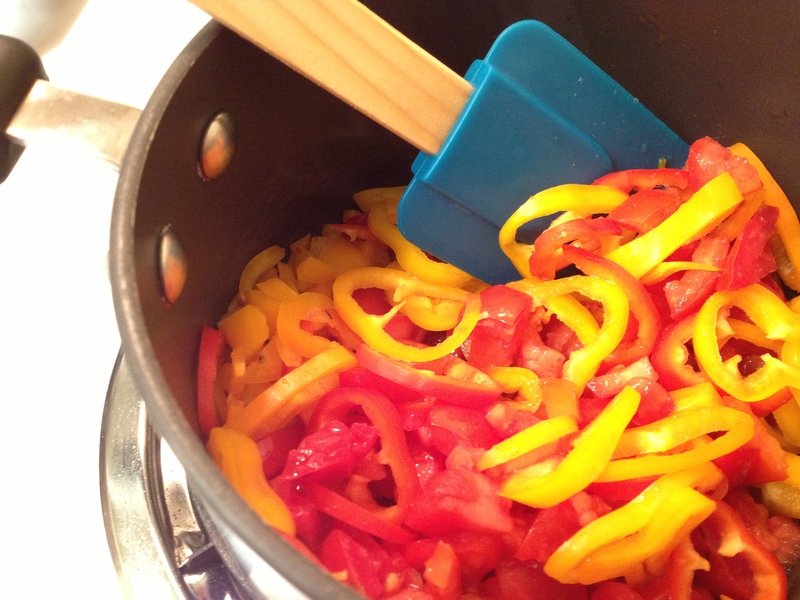 Slice the sweet peppers into thin slices and chop the tomatoes. 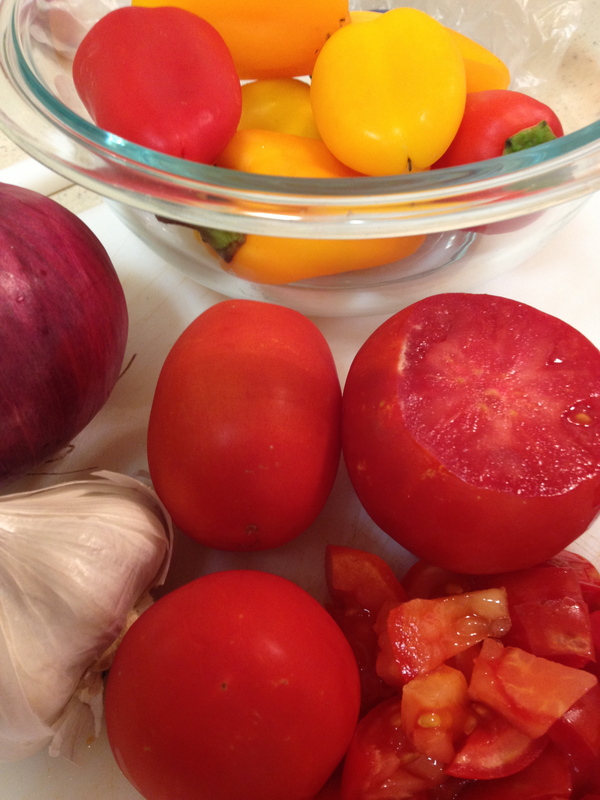 Add the tomatoes and peppers to the caramelized onion mixture. Let this simmer for at least 20 minutes (longer won’t hurt at all). The sauce should become thick. Preheat a cast iron skillet on the stove. Place the chicken breasts in the ban, drizzling a little bit of the marinade over the meat. Cook uncovered for about 5 minutes on each side (until each side is golden brown), then cover and let cook for an additional 15 minutes, or until the inside isn’t pink at all. I topped my feast with a balsamic reduction: just pour about ½ cup balsamic vinegar into a saucepan and let it simmer for about 15 minutes or until it is a syrup.